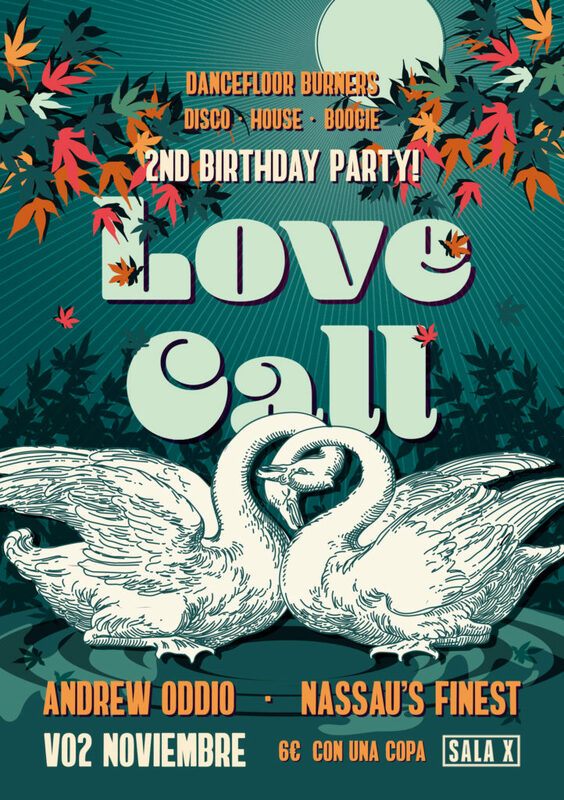 Love Call – 2nd Anniversary Party! Here’s the info for our big two-year celebration. More years than ever, more jams than ever, more fun that ever! PRESS RELEASE: It’s been two years since Andrew OdDio and Samuel Baron started LOVE CALL, a project which aimed to open up a space in Seville for disco, boogie, and house music of the classy, deep, fun variety–and so bring music-lovers and dancers together on one very groovy dancefloor. Since then, they’ve managed to do just that–and this is a cause for great celebration! As the word has spread and the dancefloor filled, Love Call has become one of the best-known and beloved club nights in Seville, and has garnered an excellent reputation within the disco and house scenes nationwide, culminating in the enormously successful Love Call night at BClub/Café Berlin last spring. All of this is thanks to the open, fun, international crowd and the supremely danceable music played; talented guests DJs (JSD, Lovespread, and Juani Cash); and residents Andrew and Samuel, who will be playing dancefloor burners B2B all night on November 2 to celebrate two years of very good times. This entry was posted in Events, Love Call, Seville and tagged Boogie, Dancefloor burners, Disco, House, Parties by Andrew. Bookmark the permalink.